I’m going to start work on a piece entitled “The Gold Bull Market Is Over”. I might be wrong, but it seems that way. So, what’s up with gold? Right now they’re higher than they’ve been since 2011. And a lot of gold buying has been based on the assumption that massive inflation is coming. Now inflation could really take off in the coming years. But the predictions that quantitative easing would heavily raise inflation (and thus lower the real interest rate) haven’t come true yet. That may well be because most of the quantitative easing money hasn’t really found its way into the wider financial system — banks are sitting on massive excess reserves. Or it may be because of the innate deflationary bias in the economy due to deleveraging effects. Eventually, so long as excess reserves are sitting there the chance of it multiplying out into the wider financial system and generating some significant inflation approaches 1. But for now, people who bought gold for inflation (or more accurately negative real interest rate) protection bought insurance against something that hasn’t happened yet. So nobody should be surprised to see a pretty significant selloff. Of course, gold is lots of other things to purchasers. It’s a shiny tangible semi-liquid asset, and insurance against counterparty, financial system risks. BRIC central banks are still buying it, because they claim to want to insure against counterparty and financial system risks. Maybe in a few years if there’s another systemic financial crisis (something which is more likely than not) all that gold people were buying in the $1400s, and maybe $1300s or $1200s may end up looking super-cheap. But that would be a whole new bull market from the bull market that took gold from less than $300 in 1999 to over $1900 in 2011. The run is over. The price floor for gold in the medium-term without some intervening event like a massive financial crisis or a war or a global catastrophe is production cost. And right now, that’s just over $900. And if there was a stock market crash or systemic crisis today (as some indicators are implying) gold’s price would almost certainly go down and not up as it did during the crisis in 2008 as gold-holders (e.g. hedge funds, investment banks) liquidate to cash to settle other liabilities. Only afterward could we see significant gains. Now, I think gold is an important part of the global financial system. The fact that it has retained its status as a store of purchasing power and as a kind of reserve currency for over 5,000 years is pretty amazing. That doesn’t mean that it’s immune to bear markets, though. There were signs in 2011 that there was a psychological bubble in gold when a plurality of Americans named it the safest investment type. For people holding physical gold as a long-term investment or insurance policy, all of this may be irrelevant. If your plan is to hold it until there’s a seismic shift in the global financial system, then this is totally irrelevant. An ounce of gold is an ounce of gold. On the other hand for people trading for dollar-denominated gains, the jig is up. This entry was posted in Finance, Musings and tagged BRICs, bull market, china, counterparty risk, etfs, gold, real interest rates. Bookmark the permalink. So do you consider the several years in the middle of the 1970s, during which Gold halved in price, having separated the decade into TWO bull markets? IMO still way too early to tell whether we are seeing the end of the Gold bull market. We are in a secular bull market, the current correction could be considered a cyclical bear, as was the case in 2008, but that technical break down presented an amazing buying opportunity (as this one may do also). All selling is a kind of “price manipulation”, I guess. Given that gold has risen far and away above its pre-1971 price, it is hard to call it “manipulated downwards”. I’ve read articles on some kind of organized manipulation of the gold price today. Even so, this article by Aziz seems to be the most grounded in reality. What makes more sense, that gold is simply reacting to Euro deflation. Or, that some mischievous traders were able to play with a $10T market in such a profound way? I think Occum’s rozor would support Aziz here. I can picture us today being at the point in 1975. That is, at the beginning of a 2 year slide in the price of gold. After that slide begins its march upwards, to a massive move upwards. I personally can picture this exact same thing occurring. Soros was ‘bored’ of gold recently. Could it be that he ‘felt’ a slide coming on? I imagine this slide will put a lot of pressure on individuals who saw gold & silver as an always up-moving investment. They may need to wait 5 years now to see a higher return, if that chart is the be believed. Although, if they do wait they’d get a nice treat. A look at the long term chart tells me that the bull market in Dollar terms has been over for a while. Gold miners have indicated a price of $1300-1400 for some time now. Just listening to the deafening crescendo of bear market views tell me to buy right here. Personally, I think gold can go lower from here. Jim Rogers repeatedly noted that 12-year long bull market is due for a decent correction. I think the correction started at time when Goldman, BofA and others projected gold at $2500. since then I was getting more and more sceptical about mid-term perspective and exited any paper positions. then it numerously showed its weakness: it didn’t blow high during elections in Greece, despite QE3, Obama reelection, fiscal cliff, Italian elections and now Cyprus circus. so far it has not only dissapointed as a no-brainer hedge against Bernanke. just think about those tons of dumb money who jumped onto GLD and only watched Dow making historical highs one after one. now it’s time for dumb money to sell their gold ETF shares and jump into stocks to trigger the last phase of stock bubble. having lost opportunity to make tons of money, they’ll be headed to loose money now..
there is also another possibility that increased gold demand drives its CME-derived prices lower: while gold derivatives (for usage as collateral for leveraged investment elsewhere) are obtained through OTC markets having little and delayed impact on so called “gold price”, that “gold” almost immidiatelly end up deposited at JP Morgue and then is hedged against falling by massive shorting. that’s why commercial shorts exceed anything miners could dig up in coming years. I wonder if BASEL III plans to include “gold” in tier 1 could support this scenario… but it’s not gonna last forever that way. we’ve not seen inflation because that’s how bail-out-the-rich works. the rich keep printed money within inflation buffers like stocks. as we move towards bail-out-the-poor (antiestabilishment parties) inflation is gonna pickup over time as it pours slowly into Walmart. Like any speculative asset, it is all graph action, Now that it is not going up, people will sell and slowly it will shake out speculators, excluding fanatical gold bugs. Good post. Good to see the bitcoin enthusiast is bearish on gold. Probably a bottom sign right there. Chinese speculating with Bitcoin. Selling gold to buy Butterfly Labs products? I think I will rely in gold. Easier to liquidate and the price is more stable. I think Bitcoin will settle down at a lower rate (Sub $10), after the speculators dry up. There is no way btc is going to $10, Buddy. Not until a better bitcurrency emerges, that is. After shaking out the Reddit millionaires, I think even more usd entered the system … I just cannot see it going below $50 now. There are too many groups that need a money transfer system, maybe even including nation states. I have no idea how low Bitcoin could go. Remember, the last crash like this it took six months to bottom out. There are just too many early adopters sitting on millions of dollars of Bitcoin who will want to cash out and spend (on things like cars and real estate) even at these prices. So in six months we could easily be looking at $20-30, and a lot of despair. In order to fund Mt Gox with cash you need to use an exchange to purchase vouchers with cash. You need to provide ID. Note the processing delays. This could indicate increased curiosity over the last week. — A government issued photo ID, such as a passport or a driver’s license (NOT expired) AND a utility bill, bank statement or credit card statement showing your residential address (not older than three months). — If you cannot provide a proof of residence document (utility bill and such), you can upload TWO current, photo issued government IDs, such as a passport AND a driver’s license. If you cannot provide either of the above mentioned combinations, we cannot verify your account, and you should not continue with your application. I think I will stick with Gold. It was over a long time ago. 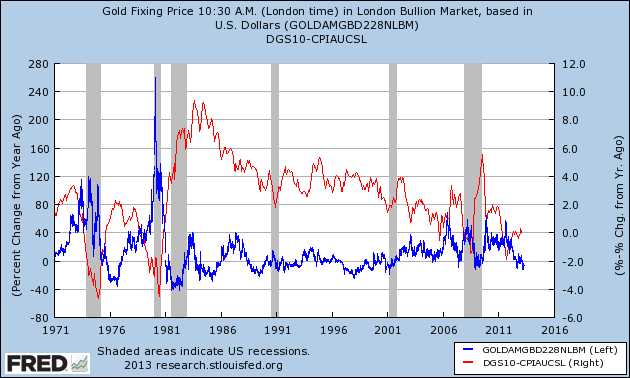 When gold becomes higher than the price of platinum, the market is clearly wrong. The market’s correction has started. Not sure about that. Gold and platinum are very different markets. One is an overwhelmingly industrial metal, the other is a kind of reserve currency. So both could conceivably lead the other depending on the respective markets. When the Gold price going down a lot, tt’s the opportunity for those who want to buy gold but can’t because gold price is too high. They’ve done exactly what they had said which is nothing definite. They’re playing with the greedy fearful public expectations, especially the Gold players. But you never know what the Fed have done exactly, except Goldman and the few major big US banks of course. Those big players are the fighters for the US financial industry so they represent the USA. That’s why they are above the the law. They are the thugs for the country of USA. It’s the G7 coordination operation. When one part or few parts of the G7 print, the rest don’t have to because the money running around from one side to the other. So over all not everyone’s printing at the same time as Jim Roger or Mac Fabre said. Have you listened to this interview about the gold’s takedown yesterday? I think a post about how the gold market works (paper market versus physical market, bullion banks, producers/miners, central banks, etc.) would be extremely helpful and entertaining for your readers. Enjoyed that. Thanks. BTW Australian Iron Ore Miners are slowing and shedding staff and cancelling contractor contracts . This is giving contractors a hard time so they need to tout for work, with more competitive pricing. So Gold miners will now have a lower cost structure. What needs to be kept in mind that this has been a one hundred year event, currently a massive deflationary depression being masked [somewhat] by central bank printing, etc. The keys to look at are incomes [of the vast majority] and credit. 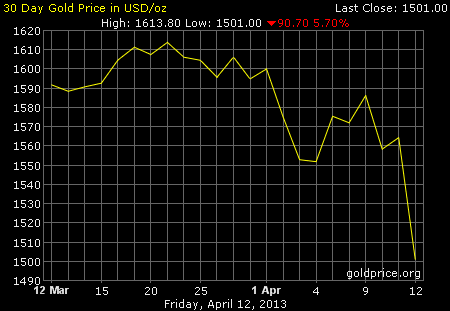 What could possible justify gold at USD1500? The only reasons the other bubbles inflated was because of a combination of [government backed] credit and pure stupidity. In the case of gold, who knows, as it sort of has a unique history, but I wouldn’t bet the farm on it. If you had a serious inflationary period [consumer commodities] in the developed countries, spending would drop like a rock, so how could corporations raise prices? You don’t blow the biggest bubbles of all time and solve the problem by blowing smaller ones. A century of fiscal recklessness has brewed an incredible toxic potion. Who knows, gold could be 1500 today, 15,000 in a year, and 150 in three years. The great unknown, it makes life worth living! dieting 6 days a week brings too much focus on diet overhaul rather than proper diet.